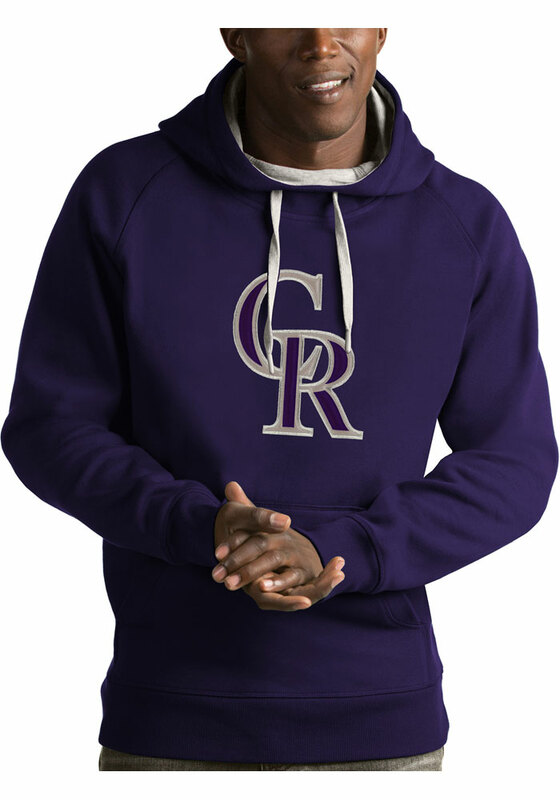 Stay in style while you cheer on the Rockies in this Colorado Rockies Purple Long Sleeve Victory Fashion Hood! This Long Sleeve Fashion Hood features a 65% cotton/35% polyester jersey face fleece back pullover hood with raglan sleeves, kangaroo pocket, dyed to match coverstitch, rib cuff, & bottom hem & contrast drawcords & inside hood. Antigua triangle patch at top of hood.. It's designed for the ultimate comfort while cheering for Colorado Rockies.